Published: July 24, 2017 at 03:06 p.m. Updated: Aug. 29, 2017 at 07:12 p.m.
Fantasy football analysis continues to develop and evolve as we become more and more advanced. No longer is it limited to a simple look at the rank of defenses against the pass and the run to determine starts or sits, as it was back in the late 1990s. (Wow, that seems like so long ago!) Now in the Information Age, the level of statistical projections, algorithms, metrics and research used to project a player's points and fantasy value are almost on the level of an NFL scout. While some information can be paralysis by analysis, a lot of it is useful in our quest to become champions. In an effort to be a one-stop shop for the most important information as it pertains to your fantasy draft preparation, here's a look at my quarterback projections for the 2017 season. I've also included a few of the more vital team stats from last season, including each team's pass percentage, the number of pass plays and actual quarterback pass attempts. In order to grade offensive line effectiveness as it pertains to quarterbacks, I've also included average pocket time and time allowed to throw (coming via the great team at Next Gen Stats). The difference between the two is that "time to throw" includes only plays that resulted in a pass attempt, whereas "average pocket time" measures the time between the actual snap and a pass attempt or quarterback pressure. And of course, fantasy points against (strength of schedule) information is also included at the end. Also included are a few nuggets, tidbits and analysis (for those who might be sick of all the numbers) on the most important fantasy players, in addition to the tendencies and trends of their coaches and coordinators. In some cases, you'll even see a quick historical breakdown of how well players have done (based on points) under the coaches and coordinators who'll be calling their plays in 2017. With all of this information, you'll be able to enter your fantasy football draft with confidence. NOTE: The projections for the players are listed twice, once in the image and once in straight text, as the images don't display in some formats. The Cardinals ranked third in pass plays and pass attempts last season, but Carson Palmer still ranked just 19th in fantasy points among quarterbacks. His 4,150 passing yards were his lowest full-season total since 2012, which was his final season with the Oakland Raiders. The veteran, now 38, has finished outside of the top 15 in fantasy points at the position in all but one of his four seasons in Arizona. ... Bruce Arians was either a head coach or offensive coordinator in six consecutive seasons before taking over as the main man in Arizona. During that time, his system produced three top-eight fantasy quarterback finishes (Andrew Luck - 2012, Ben Roethlisberger - 2007, 2009). The Falcons ranked 27th in pass plays a season ago, but Matt Ryan still finished with career bests almost across the board. His 345.5 fantasy points were 40.6 more than his previous personal best of 304.9 in 2012. Ryan had averaged 254.1 points in his previous three seasons. ... The offense won't change much under new offensive coordinator Steve Sarkisian, who has never called a single play at the NFL level, so expect their up-tempo attack to continue. Regardless, it's still difficult to envision a scenario where Ryan doesn't see some level of regression compared to his "magical" 2016 campaign and the loss of former coordinator Kyle Shanahan. Don't reach for him in fantasy drafts. No team ran more pass plays or threw more passes last season than the Ravens. While Joe Flacco did finish with a career best 4,317 passing yards, he still ranked a mere 20th in fantasy points among quarterbacks. ... Marty Mornhinweg will continue in his role as the team's offensive coordinator, so Flacco will have no shortage of chances to score fantasy points in "Air Marty's" offense. The system will result in plenty of explosive plays down the field, but it doesn't breed consistent production. Under Mornhinweg's watch (he took over the offense in Week 6), Flacco recorded fewer than 16 fantasy points eight times and threw one interception during each of his final six starts of 2016. The Bills ranked 30th in pass plays and dead last in pass attempts last season under former offensive coordinators Greg Roman and Anthony Lynn. New coordinator Rick Dennison's quarterbacks have finished in the top 10 based on fantasy points once (Matt Schaub, 2010), but he has a connection with Tyrod Taylor from their one season together in Baltimore (2014). His offenses have also finished in the top 10 in rushing five times during his nine seasons as an NFL coordinator, which is good news for Buffalo's run-based attack. ... Taylor will be under center more often in Dennison's offense, so don't be surprised to see him run more play action and bootlegs to keep defenses honest. The Panthers ranked 23rd in pass plays and pass attempts a season ago, but will that total increase after the offseason? Offensive coordinator Mike Shula now has a terrific pass catcher in Christian McCaffrey to go along with fellow rookie Curtis Samuel and incumbents Kelvin Benjamin and Greg Olsen, so Cam Newton seems destined to use more short and intermediate passes. That should improve what was a career-worst 52.9 completion percentage from a season ago. Of course, this also means that Newton could run the ball less ... he had a career-low 90 rushes a season ago. That sort of scenario isn't a positive one from a fantasy perspective, making him a mid-to-low No. 1 option. The Bears ranked 24th in pass plays and threw the ball 60.7 percent of the time in their first season under offensive coordinator Dowell Loggains. His offenses threw the ball 54 percent of the time during his two seasons as the coordinator in Tennessee. In 2016, the Bears ranked third in the franchise's single-season history in passing yards (net and gross) while starting three different quarterbacks. However, his system still hasn't produced a top-20 fantasy quarterback between Jake Locker (2012), Ryan Fitzpatrick (2013) and Jay Cutler (2016). ... Mike Glennon figures to open the season atop the depth chart, but rookie Mitchell Trubisky should see starts at some point this season. The Bengals ranked 22nd in pass plays in Ken Zampese's first season as the team's offensive coordinator, but injuries to top receivers like A.J. Green, Tyler Eifert and Giovani Bernard were in part to blame. He is the lone position coach Andy Dalton has played under at the NFL level, and Zampese has overseen the development of both Palmer and Dalton during his 14 seasons in Cincinnati. With question marks on the offensive line, Zampese could look to spread teams out with Green back and the addition of rookie speedster John Ross. An improved ground attack with rookie Joe Mixon would also help Dalton's effort in the pass attack, making the offense far less one dimensional. The Browns ranked seventh in pass plays a season ago, as the team was forced to throw more often in an attempt to erase deficits. In his last six stints as an offensive play caller, coach Hue Jackson hasn't had a single quarterback finish higher than 18th in fantasy points (Dalton, 2015). In his defense, Dalton was the QB5 through Week 13 that year before fracturing his thumb. Furthermore, the top passers Jackson worked with before his tenure in Cincinnati were Patrick Ramsey (2003), Joey Harrington (2007) and Jason Campbell (2010). ... Rookie Deshone Kizer has earned the starting job, and his skills as a runner could make him a potential streamer based on the matchups. The Cowboys ranked a mere 30th in pass plays while rookie quarterback Dak Prescott finished 23rd in pass attempts at his position, which isn't a huge surprise when you consider the success of Ezekiel Elliott and the ground attack. ... Prescott still finished an impressive sixth in fantasy points among quarterbacks, due in part to his lack of turnovers and six rushing touchdowns. ... During his five seasons as the offensive coordinator in Detroit, Scott Linehan's quarterbacks ranked 11th or higher in points four times. That includes a pair of top-10 finishes (Matthew Stafford - 2012, 2013), so Prescott's finish has Linehan on a personal hot streak when it comes to fantasy quarterbacks. Denver's offense ranked 20th in pass plays under Dennison last season, but the return of offensive coordinator Mike McCoy should jump start the team across the board. The Broncos had the NFL's highest-scoring offense under his watch in 2012, and McCoy's offenses have finished in the top 10 in total yards in three of the last five seasons. McCoy's quarterbacks have had four top-12 finishes in the last five years between Peyton Manning (2012) and Philip Rivers (2013-2015). He even helped Tim Tebow finish 18th at the position during his 14 starts in 2011. ... Trevor Siemian has won the top spot on the depth chart over Paxton Lynch, but he won't be picked in most 10-team drafts. The Lions ranked eighth in pass plays and finished 11th in pass attempts a season ago. ... In 25 regular-season games under offensive coordinator Jim Bob Cooter, Matthew Stafford has thrown the football 923 times (36.2 APG) for 6,723 passing yards with 47 total touchdowns and 14 interceptions. Overall, Stafford has averaged better than 17 fantasy points per game over the last two seasons. He also didn't see a major decline when Calvin Johnson retired but instead spread the ball around to all of his receivers including Golden Tate and Marvin Jones. What's more, Stafford still found success despite having the third-lowest time-to-throw average among all NFL quarterbacks in 2016. The Packers ranked fourth in pass percentage and fifth in pass plays last season under offensive coordinator Edgar Bennett. He had called pass plays 58.7 percent of the time in 2015, as the Packers leaned on Aaron Rodgers and the pass more often in the absence of a reliable ground attack. ... Rodgers, who ranked first in fantasy points among all players, had finished no worse than second in his previous five full seasons. ... Bennett's offense spreads the ball around, as four different players finished with 40-plus catches. That offensive success plus a plethora of talented pass catchers is good news for Rodgers, who will be the consensus first quarterback picked in fantasy drafts. Houston's offense ranked 17th in pass plays a season ago, but the pass attack floundered with Brock Osweiler at the helm and cost former offensive coordinator George Godsey his job. ... The Texans will not hire a new coordinator to replace him, as head coach Bill O'Brien will call the offensive plays and hopes to improve a team that scored just 23 offensive touchdowns last season. He called plays in 2014 as well, his first year with the Texans, and the team finished 14th in scoring. In his last tenure as a straight coordinator, O'Brien's system helped Tom Brady throw for a career best 5,239 yards with 39 touchdowns in New England (2011). ... Tom Savage might be the favorite to open atop the depth chart, but rookie Deshaun Watson is the quarterback fans should watch in the preseason. The Colts were 12th in pass plays last season under offensive coordinator Rob Chudzinski, who produced his fourth top-six fantasy quarterback (Andrew Luck) during his career. Cam Newton (2011, 2012) recorded two of those seasons in Carolina while Derek Anderson (2007) had the third in Cleveland. In 16 career regular-season starts under Chudzinski, Luck has averaged 280.7 passing yards per game to go along with 35 total touchdowns. Luck has also thrown just 13 interceptions and averaged better than 20 fantasy points a game, making him one of the more productive fantasy quarterbacks in the league. ... Owners need to keep tabs on Luck's status, however, as he's coming off offseason shoulder surgery and is in doubt for the start of the regular season. The Jaguars ranked fourth in pass plays a season ago, as Blake Bortles finished third in pass attempts and ninth in fantasy points among quarterbacks. That sounds good on paper, but you could argue that Bortles has been the worst "good" fantasy quarterback since 2015. In fact, he's had a 58.7 completion percentage and a combined 34 interceptions in that time. ... New offensive coordinator Nathaniel Hackett has just two years experience in that role at the NFL level, and his system will be the third Bortles has had to learn in four seasons. ... The addition of Leonard Fournette means a greater emphasis on the run for the offense, so look for Bortles' overall totals to regress. Last season, the Chiefs ranked 25th in pass plays and Alex Smith was 22nd in passing yards among quarterbacks (minimum 12 games). ... Matt Nagy as been promoted to offensive coordinator after sharing the duties with Brad Childress a year ago, but coach Andy Reid will continue to call the plays. ... In his four seasons in Kansas City with Reid at the helm, Smith has seen his rank among fantasy quarterbacks fall from 12th to 15th to 18th and down to 23rd in 2016. His 15 touchdown passes last season were also his worst total in the last four years. ... Rookie Patrick Mahomes is now the future of the Chiefs franchise, but Smith still figures to see most of the starts during this season. The Chargers ranked 14th in pass plays under offensive coordinator Ken Whisenhunt a season ago, as Philip Rivers finished 11th in fantasy points among quarterbacks. He has now ranked 11th and fifth in his last two years under Whisenhunt's watch. However, the veteran coordinator has produced a mere two top-10 fantasy quarterbacks in his last 13 seasons as either a coach or coordinator. The first before Rivers was Kurt Warner (fifth, 2008), who also ranked 12th (2007) and 13th (2009). Roethlisberger ranked no better than 13th (2006) under Whisenhunt in Pittsburgh. ... The Bolts have improved on an offensive line that ranked 12th in average pocket time from a season ago. The Rams will have a new look on offense, as the team signed 31-year-old Sean McVay to be their new head coach. While Matt LaFleur will take over as the offensive coordinator, it's McVay who will serve as the play caller and be given the task of developing Jared Goff into an NFL quarterback. In his three years as the coordinator in Washington, McVay helped Kirk Cousins finish in the top 10 in fantasy points at the position twice (2015, 2016). ... While McVay, LaFleur and quarterbacks coach Greg Olson have good track records as talent developers, Goff will be hard pressed to make a real fantasy impact in an offense that will need to run through Todd Gurley to find success. The Dolphins ranked dead last in the league in pass plays last season, as Ryan Tannehill finished 27th in fantasy points and 28th in pass attempts among quarterbacks (minimum 12 games). That was the worst rank any quarterback has had under the watch of coach Adam Gase since 2013. ... Tannehill averaged just over 14 fantasy points per game, which would have projected to around 232 points over a full season. ... With Tannehill injured, Jay Cutler will take over the offense. In his 2015, he had a career-best 92.3 passer rating under Gase's watch. However, Cutler ranked just 20th in fantasy points among quarterbacks that season. He'll be worth no more than a late flier in drafts. The Vikings ranked 11th in pass plays a season ago, which had much to do with a ground game that struggled to produce without superstar Adrian Peterson. ... In nine starts under offensive coordinator Pat Shurmur, Sam Bradford averaged 271 passing yards but threw for just 12 touchdowns. On a positive note, he did have a 74.5 completion percentage and averaged 0.01 interceptions per pass attempt. Bradford also threw for six touchdowns in his final two starts. ... The Vikings were 29th in average time to throw (2.50) among offensive lines, but the addition of Riley Reiff and Mike Remmers (free agents), not to mention Pat Elflein in Round 3 of the NFL draft, should bolster the unit. The Patriots ranked 27th in pass plays and threw the football 54.5 percent of the time last season, which was down from the 63.5 percent the team recorded in 2015. ... Despite the decline, Tom Brady still averaged 21.4 fantasy points per game in his 12 starts (he missed the first four games due to a suspension). In his last eight seasons, he has finished in the top 10 in fantasy points seven times. He failed to reach the mark in 2013, but Rob Gronkowski missed nine games that season. ... With the addition of Brandin Cooks and Gronkowski's return from back problems, there's a great chance Brady's pass attempts could be back on the rise. He's well worth a top-60 overall selection. The Saints ranked second in pass plays last season, and Drew Brees tied for first with Flacco in total pass attempts. ... Pete Carmichael has been the team's offensive coordinator since 2009, during which time Brees has finished no worse than sixth in fantasy points at his position. That includes four seasons where he's ranked first or second. Brees finished 15.1 points out of second place last season. ... The veteran out of Purdue has also attempted no fewer than 627 passes over the last seven seasons, during which time he's averaged better than 5,000 passing yards and 38 touchdown passes. ... Brees will again be one of the first five quarterbacks selected in all fantasy football drafts. The Giants ranked 12th in pass plays a season ago, but Eli Manning took a statistical step back. After finishing 10th in points among quarterbacks in each of his first two years under Ben McAdoo as the offensive coordinator, the veteran fell to 21st in Mac's first campaign as the head coach. ... The offensive line did him no favors, however, as the G-Men ranked 25th in average pocket time (2.26) and tied for 26th in time to throw (2.57). That line could be a massive problem again, as Pro Football Focus ranks it No. 28 overall. ... On a positive note, the addition of Brandon Marshall and rookie Evan Engram gives Manning some of the best weapons he's ever had at the professional level. The Jets ranked 24th in pass plays and finished with a meager 16 touchdown passes against 25 interceptions last season. New offensive coordinator John Morton, who coached the team's wideouts a year ago, cut his teeth alongside some of the best coaches in football, most notably Pete Carroll (Southern California), Jim Harbaugh (49ers) and Sean Payton (Saints). Unfortunately, he now has the unenviable task of leading a team that enters the season with Josh McCown and Christian Hackenberg at the top of its depth chart. ... The Jets ranked 27th in average pocket time (2.22) a season ago, so whoever wins the job could be in for a long season. This is a situation to avoid. The Raiders finished last season ranked 16th in pass plays, while Derek Carr was 13th in pass attempts among quarterbacks (minimum of 15 games). He also finished 10th in fantasy points among quarterbacks with just under 4,000 passing yards, all despite missing one game at the end of the regular season. ... The team promoted Todd Downing from quarterbacks coach to offensive coordinator, but most of the system former coordinator Bill Musgrave left behind will remain intact (with a few wrinkles). That's good news for Carr, who scored 20-plus fantasy points eight times in 15 starts last season and figures to be a prime bargain in the later rounds of 2017 fantasy football drafts. The Eagles ranked fifth in pass plays in 2016, throwing the football almost 60 percent of the time. That wasn't a surprise, however, as offensive coordinator Frank Reich is a noted fan of the pass attack. In fact, Rivers threw the football 1,231 times and averaged an impressive 4,539 passing yards under Reich while the two were in San Diego. ... Carson Wentz finished his rookie season 24th in fantasy points among quarterbacks, but he threw the ball 607 times (fifth-most in the NFL). With a full pro season under his belt and the additions of Alshon Jeffery and Torrey Smith, the North Dakota State product figures to be one of the more popular quarterback sleepers in fantasy drafts. The Steelers offense finished 13th in pass plays last season, throwing the football more than 60 percent of the time. Roethlisberger missed two games due to injuries, but he averaged 18 fantasy points per game overall. However, he averaged a pedestrian 13 fantasy points a game on the road (10.4 in outdoor roadies) compared to a robust 24.6 points at Heinz Field. That huge discrepancy in point production will hurt his value in fantasy drafts, though getting Martavis Bryant back is a real positive. ... Todd Haley has produced five top-12 fantasy quarterbacks in his last 11 seasons as a coordinator or coach, including Roethlisberger (2010, 2013, 2014) and Warner (2007, 2008). The 49ers ranked 28th in pass plays last season, but there's a good chance for an increase in that total under new head coach Kyle Shanahan . The Falcons threw the football on nearly 60 percent of their offensive plays while Shanahan was their coordinator in 2015-2016. ... In his nine seasons as an NFL coordinator, Shanahan has fielded three top-five fantasy quarterbacks including Matt Schaub (2009), Robert Griffin III (2012) and Matt Ryan (2016). ... Brian Hoyer isn't likely to make this a quartet, but the underrated veteran could turn into a viable matchup-based starter and DFS option in an offense that has clearly helped quarterbacks find a good level of success in the past. The Seahawks ranked 19th in pass plays last season, as Russell Wilson set career bests in pass attempts (546) and completions (353) in an offense that didn't run as much without Marshawn Lynch. However, the veteran also saw his touchdown per completion percentage drop from 10 percent (2015) down to around six (2016). Wilson also saw his lowest rush attempt (72) and rushing yardage (259) totals in his four seasons under offensive coordinator Darrell Bevell. He did deal with injuries though, and his offensive line was among the worst in the league. While the line is still rated poorly in a recent article from Pro Football Focus, I see a top-10 fantasy campaign ahead for Wilson. The Buccaneers ranked 16th in pass attempts last season, and that total could increase after the team added DeSean Jackson and O.J. Howard to the pass attack. ... In his last nine seasons as either a head coach or a coordinator, Dirk Koetter has had one quarterback finish worse than 15th in fantasy points. That quarterback was Jameis Winston (2016), but the position is far more productive now than it was back in the 2000s. Koetter has also had two quarterbacks (David Garrard - 2008, Ryan - 2012, 2014) finish in the top 10 in points at the position. ... Winston, who threw 28 touchdowns in his sophomore campaign, is considered one of the better fantasy sleepers at the position. In their first season under offensive coordinator Terry Robiskie, the Titans ranked 29th in pass plays while throwing the ball 52.8 percent of the time. That's due in large part to the immense success of DeMarco Murray and the ground attack, which ranked among the NFL's best almost across the board. ... Marcus Mariota still found success in fantasy land, however, finishing 13th in fantasy points despite missing one game. During an eight-game stretch, he scored 19-plus fantasy points seven times and threw for 21 touchdowns against just three interceptions. A breakout candidate among quarterbacks, Mariota (leg) is slated to be a full go in camp. Be sure to keep tabs on his status. The Redskins ranked ninth in pass plays a season ago, and Kirk Cousins was sixth in pass attempts and third in passing yards per game (307.3). He also finished fifth in points among quarterbacks behind his career-best 4,217 passing yards and 29 total touchdowns. ... This was the fifth time in Jay Gruden's six seasons as either an NFL head coach or coordinator that his quarterback finished 15th or better based on fantasy points. In three of those seasons, his signal-caller ranked eighth or better including two top-five finishes (Dalton - 2013, Cousins - 2016). That trend should make Cousins, who is coming off the board in Round 9 based on NFL.com ADP, an attractive draft value. NFL Fantasy season is here! 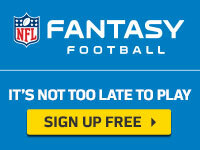 Get in on the fun and join or create a league for FREE.